The family of a ‘kind, caring’ father who was found dead on a Pevensey Bay caravan site say he will be sadly missed. After a seven-day search, 31-year-old Denim Graven was found just metres away from his home in Castle View caravan site on December 6. An inquest at Eastbourne Town Hall found he had died after taking a toxic mix of prescription medication, drugs, and alcohol. The roofer’s mother, Sandra Headech said to the Herald, “He was a fun-loving, cheeky boy. She said he was a hard worker from a young age and would go to neighbours’ homes and wash their cars. 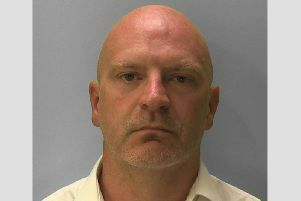 Mr Graven went missing after sending an unusual text and a video to his ex partner of 12 years, Emma Whitmarsh. He was reported missing to police on November 30 and friends and family searched day and night to find him. The court heard his body was eventually discovered by a friend, Lee Akehurst, on December 6. The inquest heard from Mr Graven’s GP and a consultant psychiatrist who said he suffered mental health issues and cocaine dependency.